An alliance of over 20 Civil Society Organisations, the Peoples Democratic Party and former Vice-President Atiku Abubakar, among others, have reacted to the Supreme Court judgment which put to rest the trial of Senate President Bukola Saraki on false assets declaration and sundry charges instituted against him before the Code of Conduct Tribunal since 2015. They described the apex court ruling as a triumph of justice and a pointer to the neutrality of the judiciary in the country. 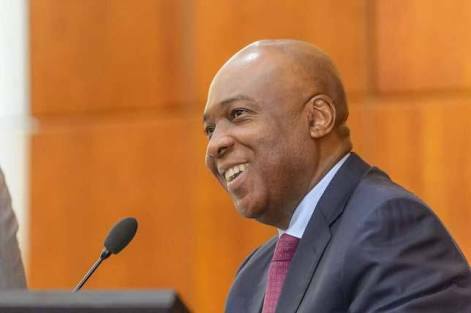 Applauding the apex court ruling on Friday, the Concerned CSOs Alliance for Democracy and Development, comprising of over 20 groups, said Saraki’s triumph should not be surprising to the discerning. Abubakar said thankfully, the judiciary had proved to be the beacon of democracy and the last hope of the citizens. Meanwhile, scores of supporters of the Senate President, especially women and youths, on Friday thronged to the streets of Ilorin, Kwara State capital, to celebrate Saraki’s win at the Supreme Court. The Punch reports that the crowd later gathered at the palace of the Emir of Ilorin, Alhaji Ibrahim Sulu-Gambari, where the monarch and many members of the Ilorin emirate community offered special prayers to show gratitude to God over the verdict.